This morning I launched a new business. Although I had to fill out many forms and submit fees to various government agencies, this process has been remarkably easy. In fact, I live in a country that offers helpful public resources to support entrepreneurs. For entrepreneurs in failed states, starting a business is an arduous and expensive task, and one that is frequently abandoned. People can reasonably disagree about how much businesses should be regulated. Most, however, would concur with the sentiment that the private sector should be restrained no more than necessary. This principle is especially important with regard to forming a new business. If it is too difficult to legally form an enterprise, whole economies suffer. The dynamism of free markets is suppressed. Prospective entrepreneurs will remain without work or under-utilized as employees of existing companies. And black markets will flourish. 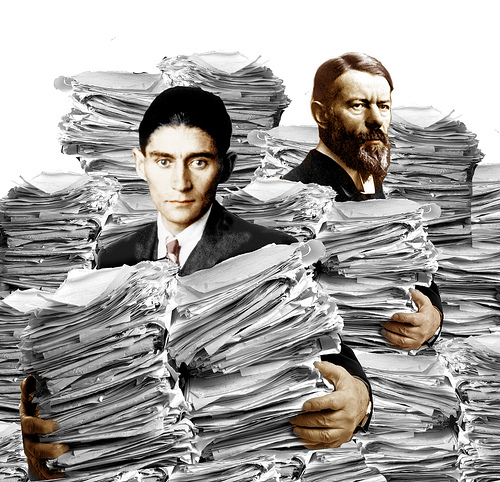 This collage features Franz Kafka and Max Weber, two authorities on bureaucratic obstacles. Illustration credit: Harald Groven (via Flickr, Creative Commons license). 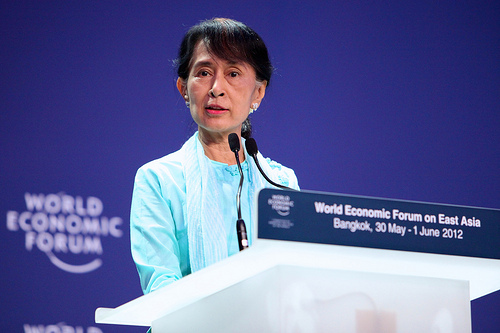 It will come as no surprise that it is very difficult to start a business in failed states. Beyond the challenges of poor infrastructure and under-educated populations, poor governance hinders entrepreneurial activity. Each year the Heritage Foundation and the Wall Street Journal publish an “Index of Economic Freedom.” I don’t agree with all of the ideological judgments behind the index, but it is nonetheless a very valuable dataset. Poor performance on this criterion is common among failed states. Poor performers on “business freedom” are frequently referred to on this blog. These countries include: North Korea, Haiti, Zimbabwe, Central African Republic, Democratic Republic of Congo, and Myanmar (Burma). Eastern Congo’s largest city, Goma, has fallen to the M23 rebels. Since April 2012, the rebels have gone from a nuisance to a serious threat to the Kabila government in Kinshasa. As with the turmoil of the 1990s, the smaller neighboring states of Rwanda and Uganda are playing key roles in the present crisis. 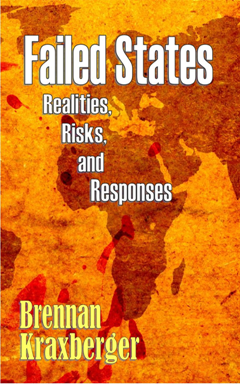 Rwanda, in particular, has long intervened in its fragile neighbor to the west. Photo credit: European Union Humanitarian Aid and Civil Protection (Creative Commons license). Before we return to Rwanda’s role, it is worth underscoring the gravity of the current situation. Goma is a city of about one million people, a good portion of them internally displaced persons (IDPs). The city also sits on the border with Rwanda, and is not far from the Ugandan border. Goma is a key trade and transit center in the Great Lakes region. The startling fact about the M23 takeover of Goma on November 20th is that the city fell with very little resistance from government forces. The BBC is reporting that DRC police officers in Goma are now handing in their weapons to the rebels. Additional government soldiers are defecting to the M23. 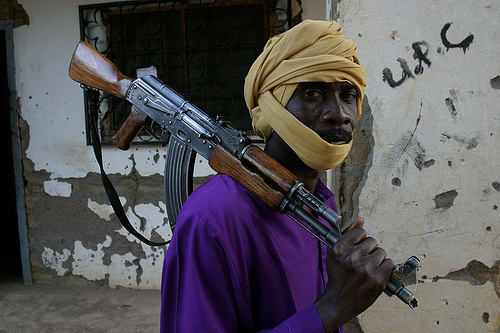 And – this is key – the rebels are threatening to march on the capital city of Kinshasa. The DRC’s leader, Joseph Kabila, should know this narrative well. His father, Laurent Kabila, led a march on Kinshasa in 1997 that began in eastern Congo. The elder Kabila, of course, received crucial backing from Rwanda and Uganda. So, as history repeats itself, what are Rwanda and Uganda seeking to achieve in backing this new group of rebels? It is hard to say. In the not-too-recent past Rwanda has announced intentions to annex part of eastern Congo. And, though such a pronouncement is offensive to many, it is hardly unusual when viewed through a global historical lens. 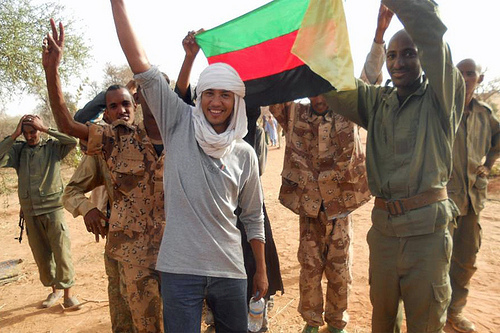 Stronger, more capable states have long sought to control or conquer weakly governed neighboring territories. The work of Gerard Prunier and others suggest that battle-hardened Paul Kagame (Rwanda’s President) tends to see geopolitics through a realist lens. 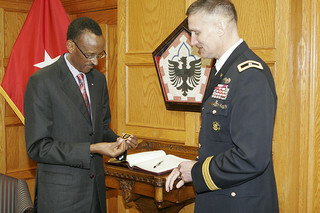 Photo credit: U.S. Army (Creative Commons license). It is not at all clear that 2012 will be a repeat of 1997. The M23 may not be capable of expanding their domain in the East and marching on Kinshasa. It is clear, though, that the Democratic Republic of the Congo remains a failed state. 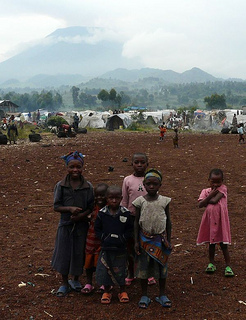 Even if the central government retakes Goma and other rebel-held areas, the events of 2012 indicate a difficult road ahead for 2013 and beyond. What are your suggestions for strengthening the Congolese state and bringing greater stability to the Great Lakes area of Africa?